Responding to the demand from amateur and advanced amateur photographers for an entry-level, full-frame mirrorless camera, Canon USA has released the second camera in its EOS R lineup, the EOS RP. Full-frame digital cameras are relatively new for many birders, but they provide important added qualities, including increased digital image quality. The new Canon EOS RP full-frame mirrorless camera features a 26 megapixel CMOS sensor that is powered by the company’s DIGIC 8 image processor, which provides users with high-image quality with outstanding operation and functionality. 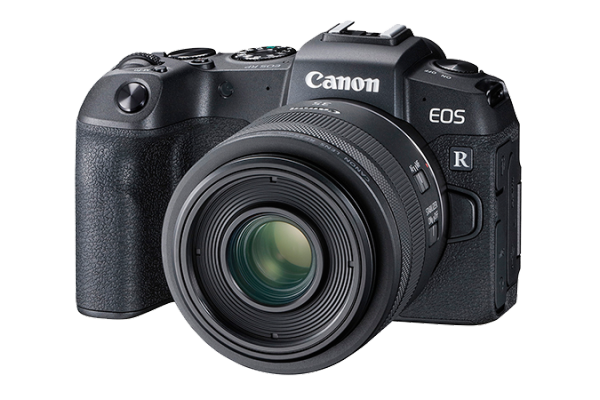 The Canon EOS RP features Dual Pixel CMOS Auto Focus (AF) with 4,779 manually selectable AF points. When using eye detection AF, the camera can automatically detect a face and focus on the eye of the subject. The EOS RP also features an ISO range of 100-25,600 that is expandable up to an ISO of 102,400, plus built-in Wi-Fi and Bluetooth technology, and Mobile RAW Workflow paired with the Digital Photo Professional Express App. For video options, the EOS RP features 4K UHD 24p / Full HD 60p video recording with 4K time-lapse video and the ability to extract still photos from 4K video frames. This new Canon camera is both light-weight and compact, weighing in at just 17 ounces and measuring approximately 5 x 3.7 x 2.4 inches (w x h x d). The EOS RP takes full advantage of the Canon line of RF lenses and is compatible with the existing collection of Canon’s EF and EF-S lenses with the use of one of three optional RF EOS-R Mount Adapters. For photographers looking to expand their abilities and capture a wide variety of both still and video images, the EOS RP features Visual Guide mode. This mode allows users to see on-screen how switching modes on the mode dial or tweaking settings can alter the image. This mode helps to guide photographers to take more compelling photos, such as images with a shallow depth-of-field, or giving moving subjects a stopped-action or flowing look. For birders interested in expanding their imaginative options, the camera also features Creative Assist mode that allows photographers to use new and unique visual effects and adjustments while taking photos, such as brightness, contrast, saturation, color tone, monochromes, and background blur. In addition, the design, ergonomics, layout and ease-of-use of the camera are excellent.